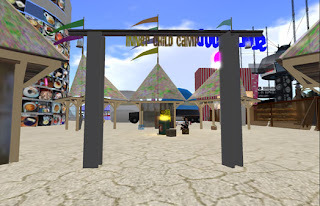 All is set for a spiffing time at Burning life for us Kid Avatars. There are Lots going on around the Burning life sims next week. Both Loki, Marrianne and others have built some wonderful places to explore. Marrianne McCann has an inner child camp located here (http://slurl.com/secondlife/Burning%20Life%20(Reaper)/92/176/2 ) Which will be host to half of the Special Milk n Kookies radio show on saturday the 27th when it all opens to the public. Sunday............ Final day, Bert Burns the Barn. 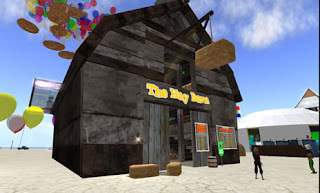 Witness the HAy Barn being burnt down which music by DJ Loki and a Fireworks display.